Lack of sleep can leave you feeling exhausted, impatient, irritable, depressed and lacking in concentration. Over time, lack of sleep can dramatically change your life, negatively impacting work performance, social life, personal relationships and general happiness. The body responds to light exposure and both hormones and brainwaves play a major role in the sleep-wake cycle. Sleeping pills are a modern invention,something we humans have not needed for 99.9% of our existence. The modern lifestyle is seriously affecting the quality of our sleep,so much so that millions of people are taking sleeping pills,and millions of others exist on a third of the sleep that they require. Your brain has specific electrical currents that dictate what type of state it is in .In order to prepare for sleep, these brainwaves must slow down. The brain is running somewhere between 1-4 Hz.The brain is in Delta state when the body is in deep sleep and the body is regenerating itself. The brain is running somewhere between 4-8 Hz . The theta state is associated with deep relaxation and meditation, enhanced creativity, stress relief, light sleep and dreaming. The brain is running somewhere between 8- 12 Hz .The alpha state is associated with relaxed mental awareness or reflection, and is typically associated with contemplation, visualisation, problem solving and accessing deeper levels of creativity. The brain is running somewhere between 20-25 Hz. When in the Beta state the brain is in a heightened state of alertness, perhaps a learning activity or engrossed in an interesting book or film. The brain is running at 40 + Hz. When in the gamma state, the brain is in high mental activity, potentially experiencing anxiety, sporadic bursts of insight or high level information processing. * Depending on the source referenced, the start and end points for each brainwave state spectrum may differ slightly. Going to bed to sleep is the closing down of your day. Training your brain to release Delta waves on its own will allow you to induce sleep.The body needs an adequate period of time to wind down and prepare for sleep,so make sure you stop brain-stimulating activity at least two hours before attempting sleep .Humans respond best to routine.Whether it is sleep,diet or learning, we naturally gravitate towards routine when seeking high productivity and stability and security in our lives. By implementing good sleep hygiene practice , you can steer your body back into a good sleep routine, within which it will thrive.Regardless of how disrupted your sleep – wake cycle is,your body wants to sleep during the night and be awake during the day. This is the natural order of sleep. Sleep is something we have come to expect the body to do on demand.We expect the brain to be able to switch off like a computer and sleep when it wants to rest. But what we forget to appreciate is that the process of sleep begins long before we get into bed. As the evening draws to a close, brainwaves slow down and chemical reactions occur in the body, releasing melatonin which encourages the brain to move into “sleep mode“. One of the main issues of sleep disorder and insomnia is that we put the body under immense pressure to sleep when we want it to, and when it does not respond we become frustrated,turning to sleep aids because we believe we have developed a “sleep problem“. Sleep works in cycles that last approximately 90 minutes each. There are four key stages within that cycle that can be broken down into two sections; non-REM sleep and REM sleep. Stage 1 (Non-Rem 1) is the transition to sleep, which takes approximately 5-15 minutes. Stage 2 (Non Rem 2) is the first stage of real sleep, when eye movement stops and heart rate slows down, which lasts 10-20 minutes. Stage 3 (Non Rem 3) is the deep sleep we need to feel re-energised, and happens approximately 15-30 minutes into the cycle, depending on the length of the first two stages. Stage 4 (REM 1) is the last stage in the cycle- the dream state. REM sleep happens approximately 70-90 minutes into the cycle and lasts for about 15 minutes before the sleep cycle starts again, typically falling back to Stage 3, dropping to Stage 2 and then restarting. The body cycles through deep sleep and REM sleep between four and six times during the night,with four complete cycles of sleep providing you with 6 hours sleep,and six cycles providing you with 9 hours sleep. Getting the right amount of sleep is complicated as each individual experiences insomnia and sleep disorders in unique ways. 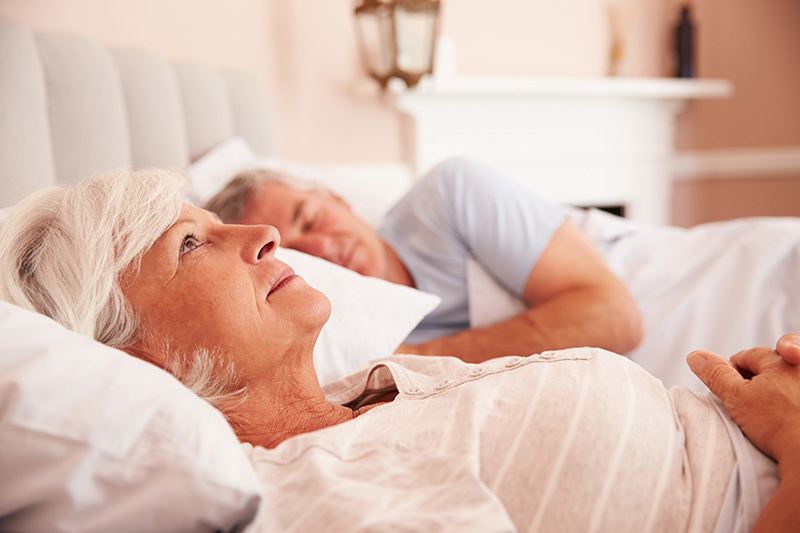 As such, we develop a bespoke sleep therapy programme which enables your individual challenges to be tackled in a way that gives the best possible sleep outcome for you. You can enjoy deeper, rejuvenating sleep, overcome insomnia and interrupted sleep patterns, increased energy, focus and patience. Learn to control your worries and fears and ultimately your sleep pattern. Make behavioural and lifestyle changes, in order to improve your ability to achieve consistent, good quality sleep No longer fearing restlessness and that sanctuary of bedroom and sleep.